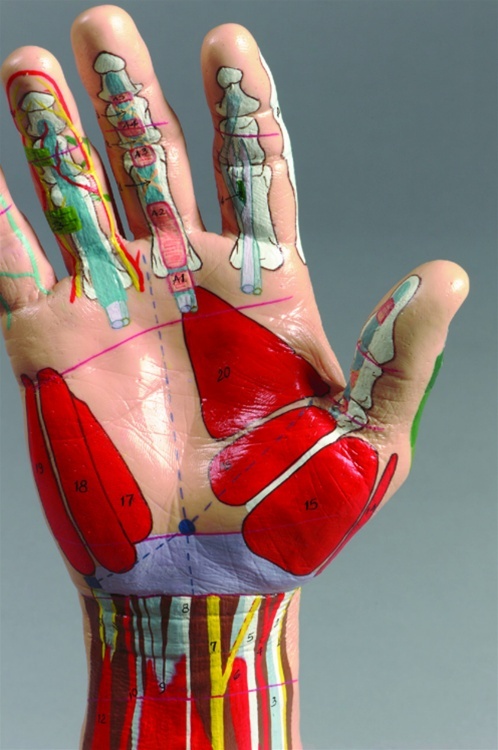 Complete with quick-reference booklet covering hand anatomy relevant to hand injury and therapy, this colorful visually-oriented desktop model illustrates key features of structural anatomy that are essential to understanding and treating hand injuries. 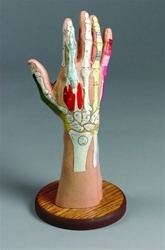 Freestanding in an upright position, the desktop therapy hand model measures 13H×6W inches overall. 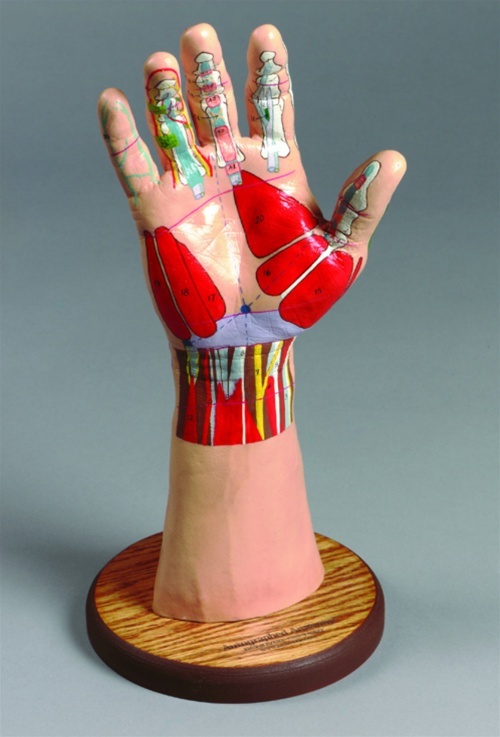 Original concept by Sheri Roberts, Occupational Therapist/Certified Hand Therapist.